Appiah has named a provisional 26-man squad for a pre- Nations Cup camping in the United Arab Emirates in early January. The title has remained elusive for the past 30-years and there are many who believe the Black Stars can end the long –wait for an African title by winning it next year. While always being touted as one of the powerhouses to clinch the crown, the Ghanaians have flattered to deceive as they could place an ‘unacceptable’ fourth in the last edition held in Gabon and Equitorial Guinea. Kwesi Appiah’s head will be on the chopping board if the country’s fails in its attempt to end years of trophy drought on the continent. But the former Asante Kotoko great has backed the Ghana trainer to excel and insists he must be maintained even if the team fails to achieve the ultimate. “No white coach in the history of Ghana football was given just one year to build the Black Stars of Ghana and even so, they have failed to achieve that success. 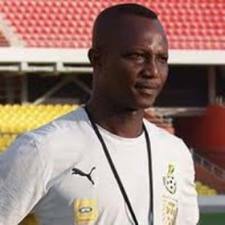 Appiah will be pruned down the nuber to 23 after which the names will be submitted to the continent’s governing body, CAF. Ghana are housed in group B where they will engage old foes DR Congo, Mali and less-fancied Niger.